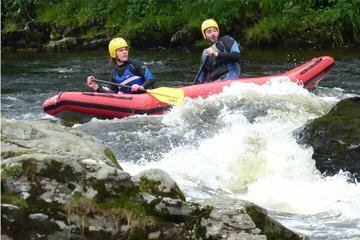 Experience rafting on the River Tay in 2-person inflatable river duckies! Duckies are a cross between a white water raft and a kayak, and provide the ultimate white water thrill for both beginners and more advanced paddlers. Perfect for exploring the white water rapids in smaller groups, you can control your own journey down the river while our expert guides keep a watchful eye over you to ensure your safety.